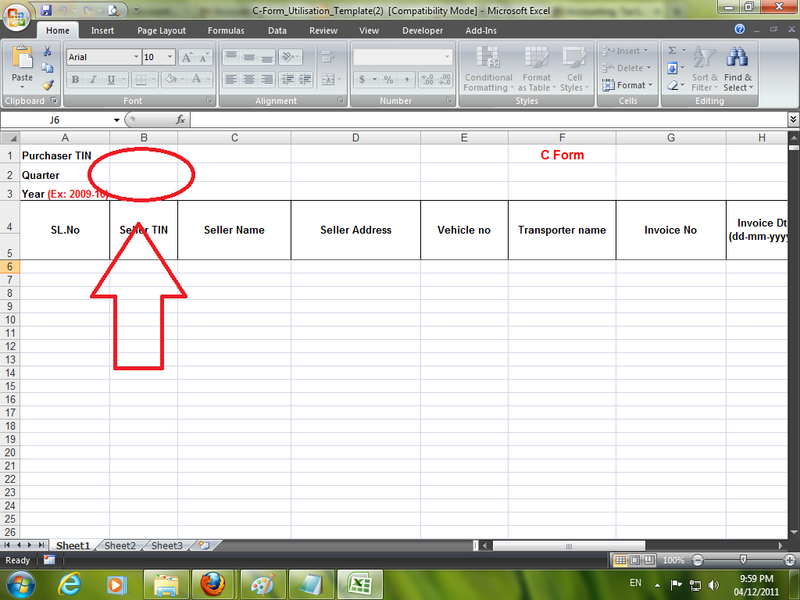 > First Download C-Form Utilisation Excel File from AP commercial taxes CDSC Website. > Column E: Enter Vehicle No: Vechcle No / Courier or other transporter consingment No. 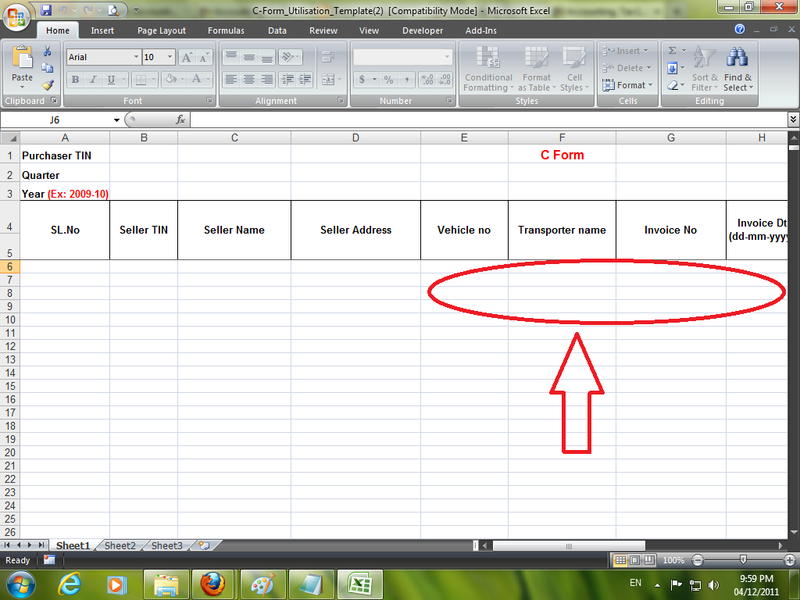 if not available enter "N/A"
> Column F: Enter Courier or transporter name. 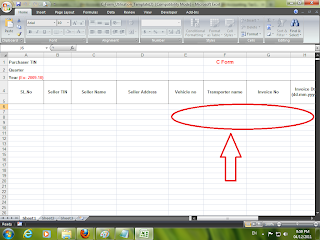 > Column G: Enter Invoice No. 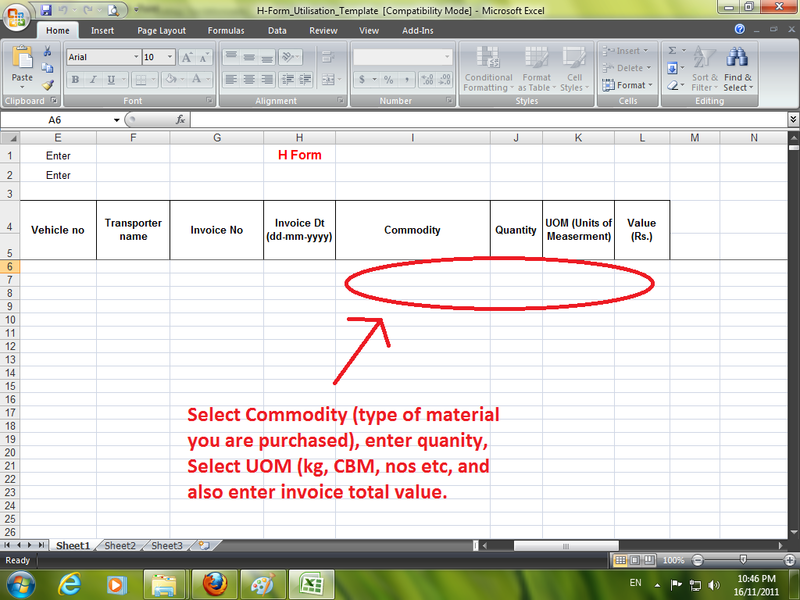 > Column H: Enter Invoice Date (Date Format (dd-mm-yyyy). > Column I: Select Commodity. 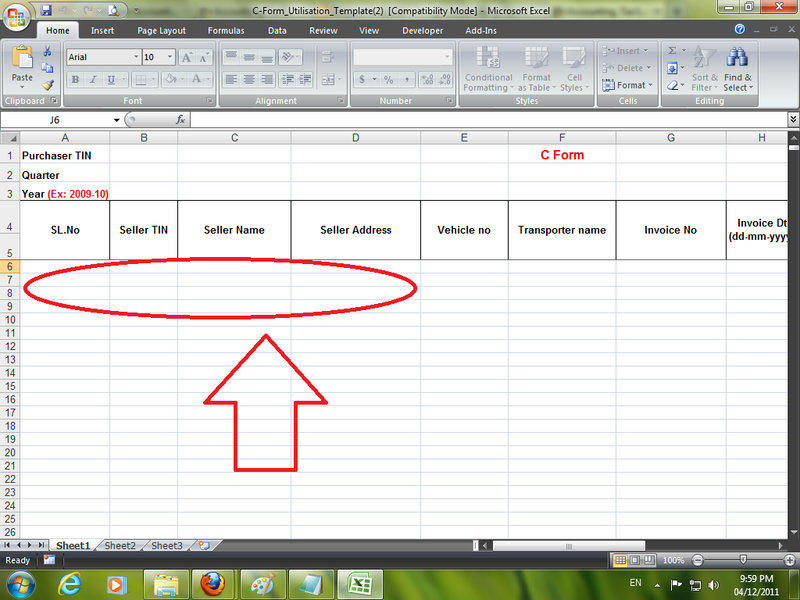 If you cant find your commodity from the list, select others. > Column K: Select UOM. 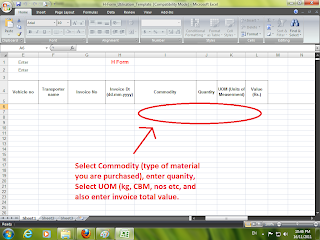 > Column L: Enter Invoice total Value. >After enter the all date in the excel sheet, save this file in your computer to upload. 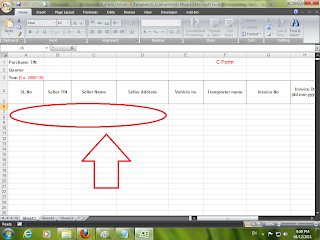 1) Quarter selection is based on Invoice/s date. 2) Year Format (YYYY-YY). Eg: 2010-11, dotn enter 2010-2011. 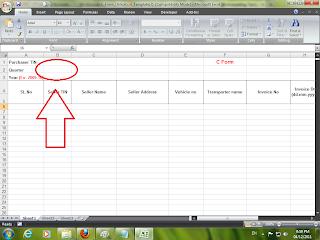 5) Dont use special characters in whole excel sheeet. Eg: ", ', =, + etc.